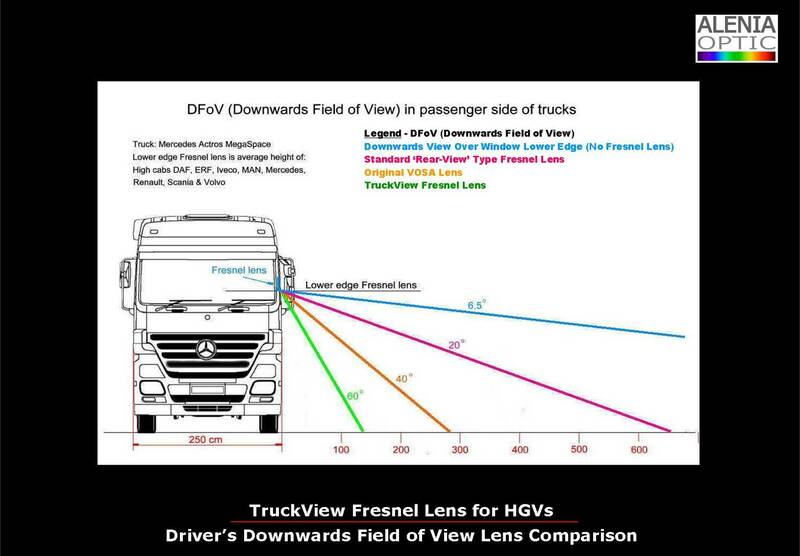 The TruckView Fresnel Lens is a thin clear flat plastic lens that is fitted to a truck’s nearside (passenger) door window. The mirror’s concentric ring surface provides the driver with a clear view directly through the lens so it is not a reflected view as with a conventional mirror. 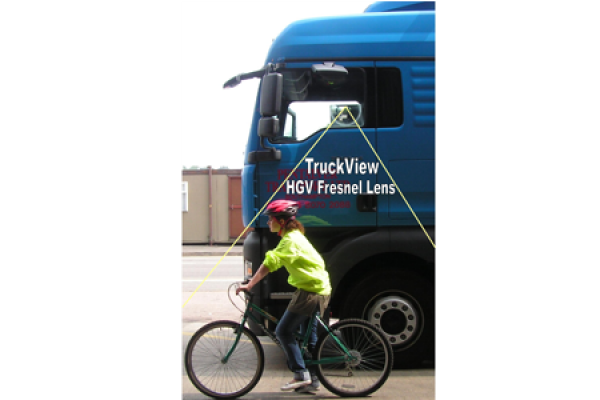 However, the optical properties of the lens provide a ‘downwards’ view close to and around the truck’s passenger door towards the kerb side, thus eliminating the usual mirror’s blind spot which is the cause of so many road accidents. 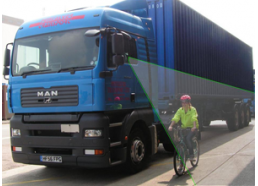 VOSA specifications stipulate that this type of fresnel lens is to be used on a HGV and NOT a standard caravan or motorhome lens as this type of device provides different viewing angles and is designed specifically for the rear of the vehicle. 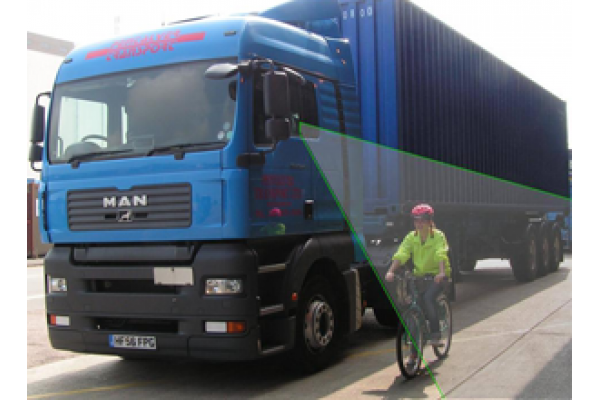 The TruckView fresnel lens has been designed specifically to meet VOSA’s specifications and it provides a larger, more acute ‘downwards’ field of view so that vulnerable road users, particularly pedestrians and cyclists, can be seen from the HGV cab. 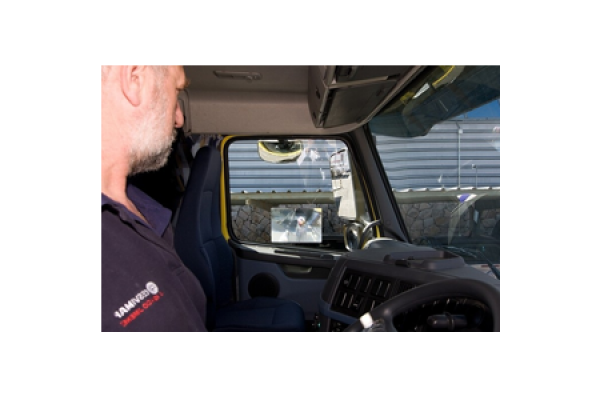 The TruckView Fresnel Lens meets the Crossrail Vehicle Safety Equipment Standard and is suitable for fitment to any vehicle working on the Crossrail contract.